Founded in 1939 by Max and Verda Foster, family owned and operated, Foster Farms provides trustworthy and reliably fresh foods for Families and Children across Foodservice. Our dedicated team of experienced foodservice professionals are focused on making Foster Farms west coast locally grown turkey, chicken, corn dogs, and Mexican products successful on every menu. NEW! Fully Cooked Seasoned Chicken Breast Pieces in 3 flavors! Contact your Foster Farms Sales Rep for more information. NEW! 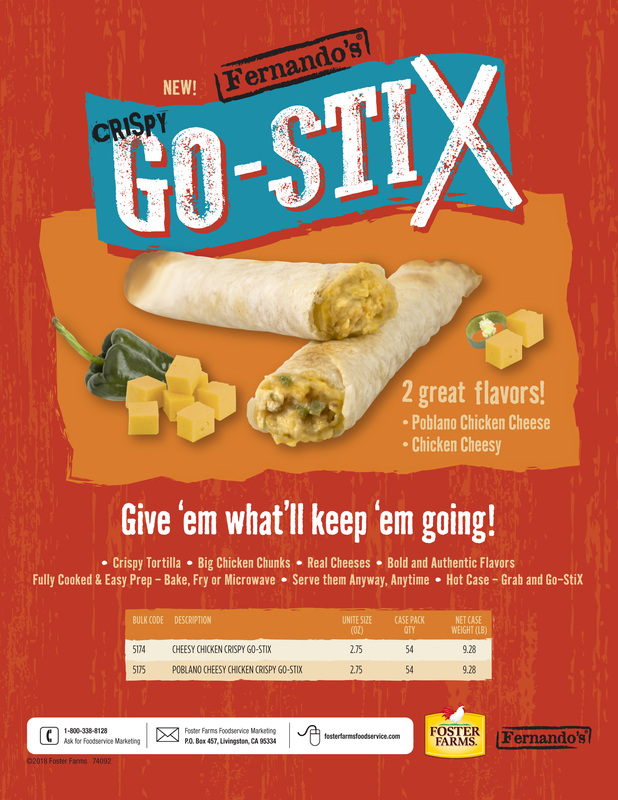 Fully Cooked Crispy Chicken Go Stix™ - 2 flavors! Recipe idea using Foster Farms NAE FC Shredded Chicken - As seen at the SNA ANC 2018! Foster Farms line of turkey products are naturally healthy and highly versatile, the perfect choice to help generate more sales from any menu or deli case. 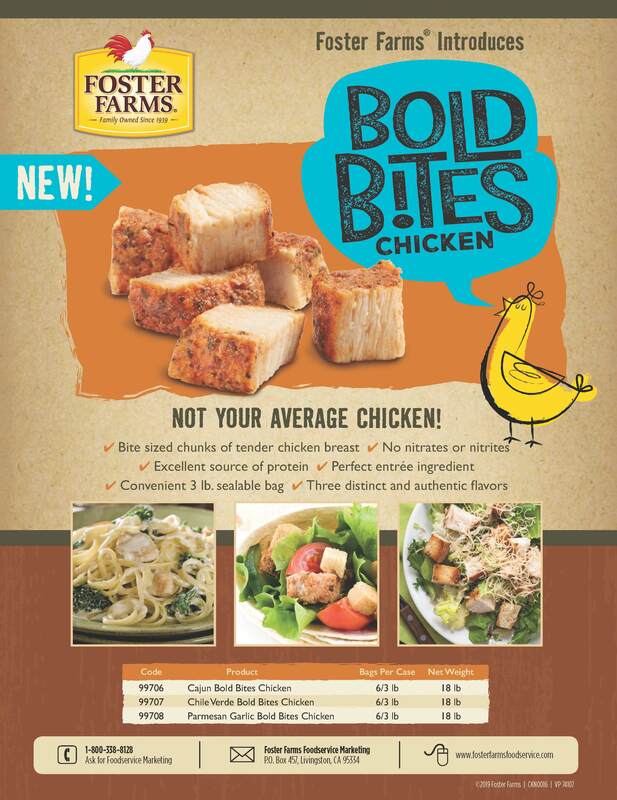 Look to Foster Farms for all your Ready-to-Cook and Fully Cooked Chicken needs. We offer No Antibiotics Ever and CN labeled products, as well as crowd-pleasing wings and things. With the highest quality corn dog on the market, Foster Farms is the leading supplier of corn dogs to the foodservice industry. Fernando's flavorful line of Mexican food items are versatile and applicable across menu's for schools, appetizer plates, C-stores, and more.